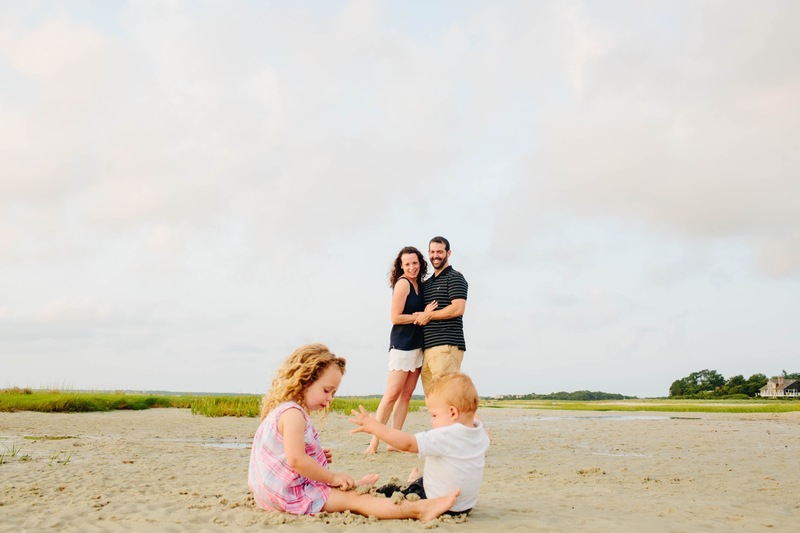 Cape Cod family sessions are some of my favorite evenings during the summer. We start the session about 2 hours before the sunset, and just have a total blast. Lifestyle sessions are different because my clients’ only job is to just have fun and hang out. I’m there to capture the real moments happening between the family, which includes me running around with the kids, playing games, and letting everyone have drink and snack breaks :) By the end, I’m beat after probably running a couple of miles during the session. But all that running around is what makes me able to create such fun, real photographs of amazing families like this one.